Now that I’m on a period of forced resting, I have to start watching what I eat with a little more care. For the past couple of weeks, I’ve definitely been eating much much worse. So, it’s time to hop back on the wagon, so to speak. On a recent shopping outing, I picked up a set of popsicle molds. They were nice, and 50% off. I’ve always wanted a set, and what better time than now? For my first popsicle outing, I started looking up different recipes. I wanted something simple, that didn’t use any pre-packaged juices or had too many ingredients I normally wouldn’t have on hand. 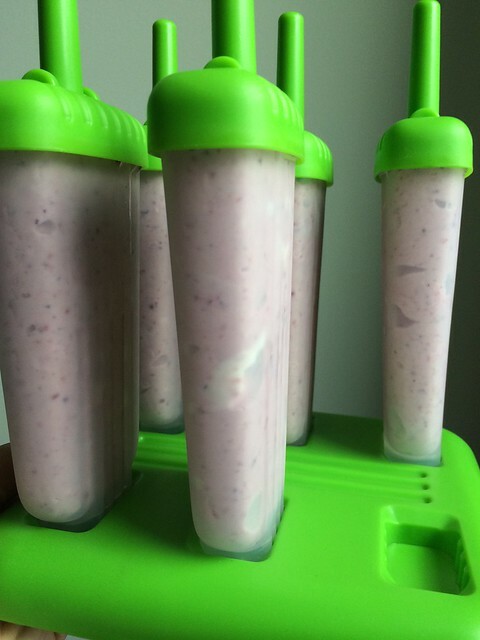 In my search I found this recipe for Yogurt Pops from Jamie Oliver’s Food Revolution. I like Jamie Oliver and what he does (real food! ), so this recipe fit the bill of what I was looking for. His tip for tasting the mixture before adding additional honey as a sweetener was great advice. The bananas I used were overripe ones I had frozen from a while back. They provided more than enough sweet. Everything into a food processor. Process until smooth. 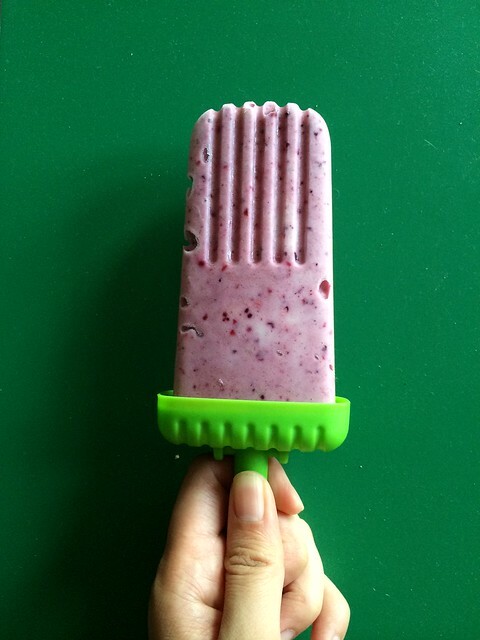 Spoon into popsicle molds. Freeze for at least 3 hours. The popsicle came out super. The banana and yogurt lends a nice balance of creaminess to the slight tartness from the berries. The berry mix I used had raspberries, so there were some seeds to contend with. A great snack indeed! 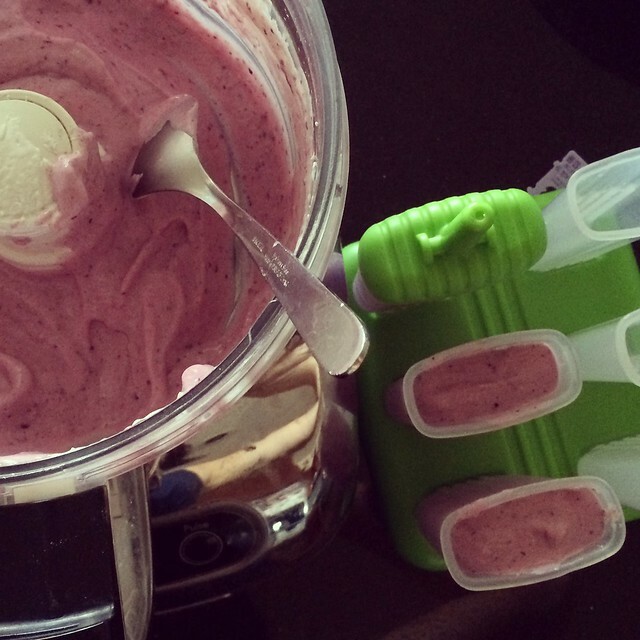 This entry was posted in Dessert, Fruit, snack and tagged Banana, Berry, Jamie Oliver, Popsicles, yogurt. Bookmark the permalink.